Rest assured, I too have spent far too much time watching these tutorials and trying – time and time again – to get the same look at home! What I have noticed is there is also a lot of nonsense in these videos and sometimes a sense of uncanny improvisation (ever seen those videos when the “pro” looks like a pumpkin after applying half a ton of foundation to her face?). Well, I am not a makeup artist or a beautician but personally, my beauty secret is basically one single principle: rather than spending my life on YouTube, I take care of my skin. It’s crazy how we tend to forget that great makeup is first and foremost about well-moisturised skin. All too often we see women in the street, made up to the nines, using their foundation to mask imperfections – you know the look? Sadly, if you’ve noticed it too, you’ll know it’s a technique that just doesn’t work! Firstly because that is not the purpose of foundation and secondly because you can’t get a natural makeup look which lasts all day without giving your skin a bit of a pamper beforehand. 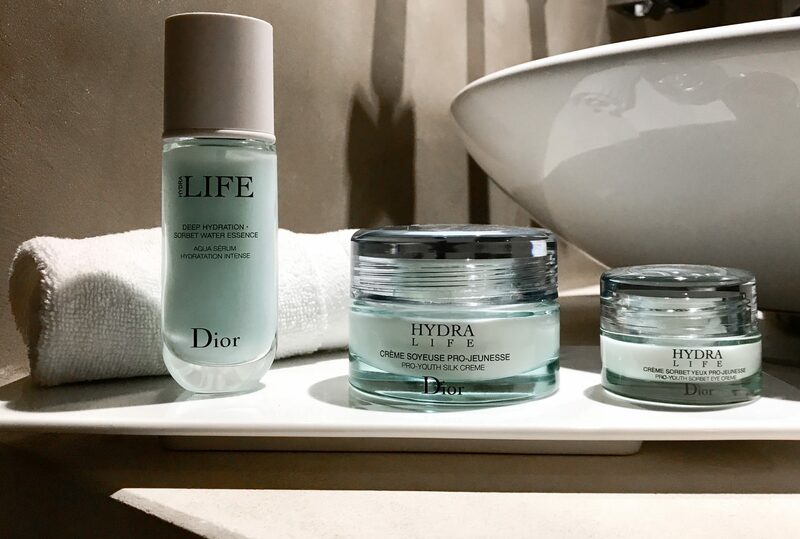 To treat my skin well, my favourite products right now are the Hydra Life range by Dior. Honestly, I’m not trying to advertise them or anything, but I just LOVE these products! My preferred beauty ritual is to start by washing my face with a soap and then applying the Deep Hydration Sorbet Water Essence. It has an incredibly gentle peeling effect… From the same range, I also use the Pro-Youth Silk Creme which I apply morning and evening to make my skin look smoother and brighter. I also like the Pro-Youth Sorbet Eye Creme. Even just the name sounds fabulous, don’t you think? The results are good: say goodbye to puffiness under the eyes and dark circles, your eyes sparkle throughout the day, maintaining your youthful skin for years.